Now that I’ve written a bit about my shop and essential equipment here, I’m going to move on to my most-used tools. My tools aren’t high end Snap-On or Matco tools, but I have what I need to get the job done. 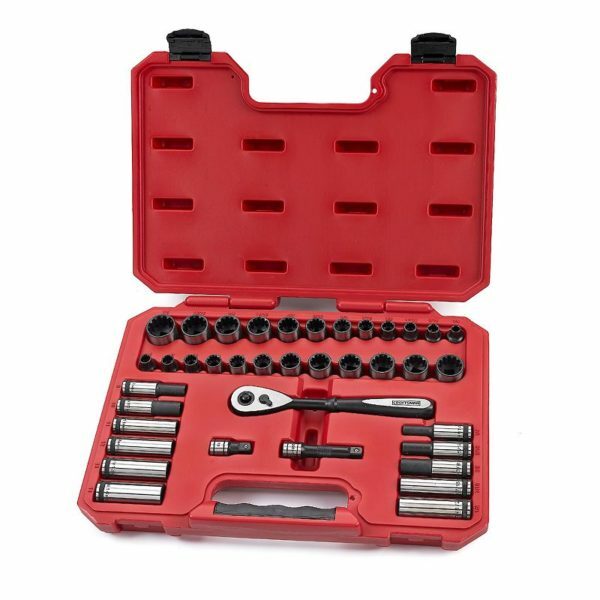 My shop has lots of good Craftsman tools and several from Harbor Freight. I’m lucky to live just minutes from Sears, Home Depot, Lowes, and a Harbor Freight store, so whenever I need a new tool, it’s a good excuse to take a trip to the ‘candy store’ and check it out. Craftsman 3/8″ Mach Series Ratchet: This is one of my newest tools. I like just about everything with this cool and unusual ratchet. It’s so unique that it’s hard to explain how it does its job. The Craftsman website says it ‘combines the speed of a “Push Twisting” screwdriver, a ratcheting screwdriver, and the higher torque and access of a ratchet in one tool.’ The molded handle fits well in my hand and the extra length makes for good leverage. The ratchet has a swivel head which fits into tight spaces. 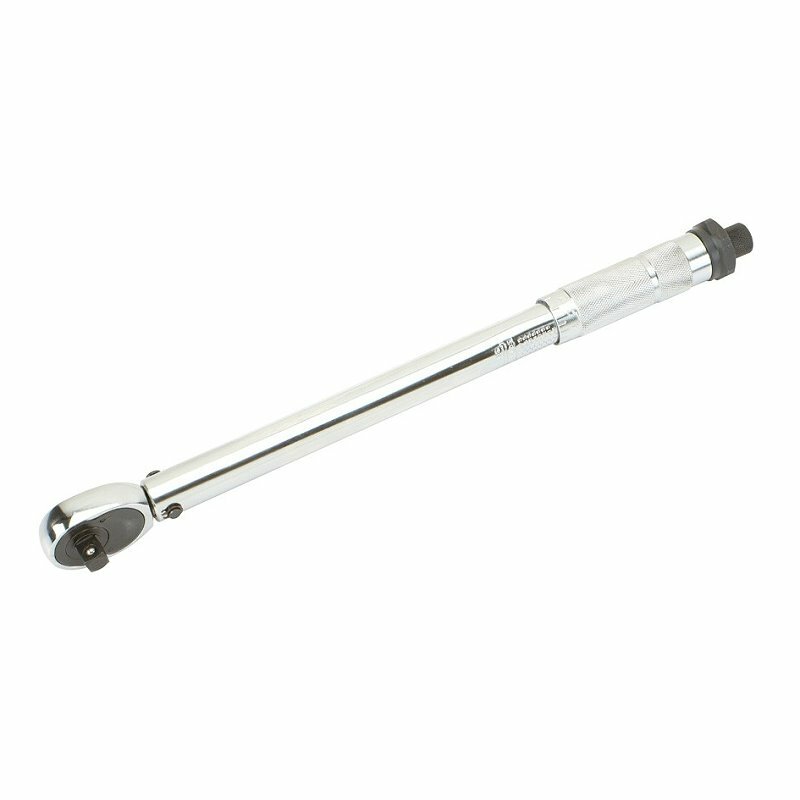 The telescoping handle can make short work of some fasteners. As with all Craftsman hand tools, it has a full warranty. If a picture is worth a thousand words, how many words is a video worth? 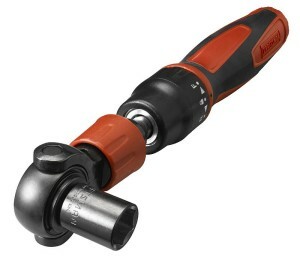 A tool that takes stress off my joints is an impact wrench. Because these wrenches are easy and fast, I have two. Both always sit on top of a low cabinet within easy reach. 1/2″ Heavy Duty Impact Wrench (below left): My go-to power wrench for loosening large and/or rusted fasteners. Impact wrenches are pneumatic or electric. Mine is corded electric and always does good work. 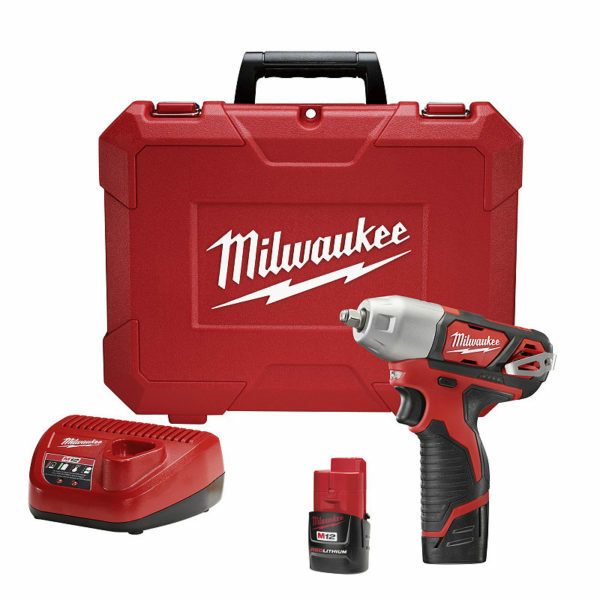 3/8″ Impact Wrench (below right): This wrench, made by Milwaukee, is operated by a 12-volt battery, is lightweight at 2.3 pounds, and packs 100 ft-lbs of peak torque. It’s definitely a favorite tool. 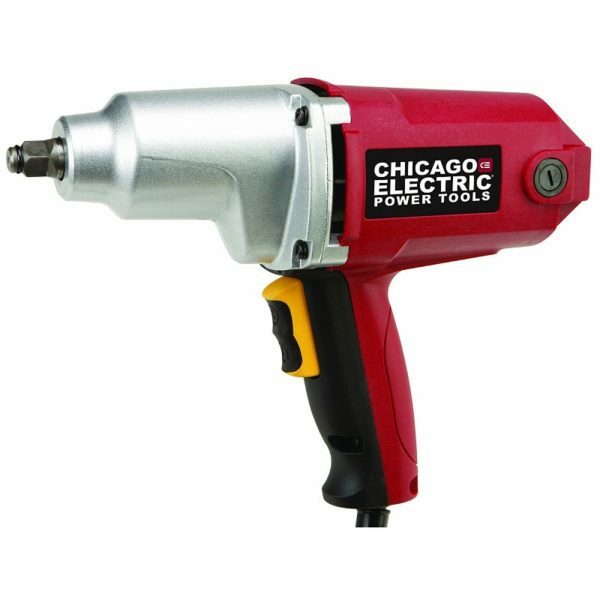 If I need to loosen a fastener or start tightening a fastener, I’ll reach for this impact wrench first. Just as an aside, I’m skeptical about the accuracy of most torque wrenches when dialing in small foot-pounds of torque. For instance, I don’t use a torque wrench to install spark plugs. 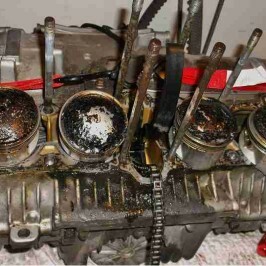 I believe they over-torque the plugs into the cylinder heads. Instead, I trust the ‘feel’ of my hands using a simple ratchet and socket. 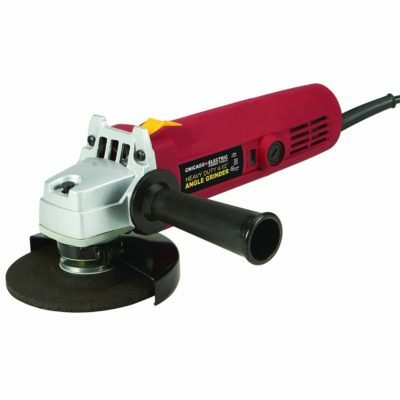 Heavy Duty Angle Grinder (below left): Sometimes known as a side grinder or disc grinder. The most popular size grinder is 4 ½” which can handle most tasks. The angle grinder is an extremely versatile tool depending on what abrasive wheels and accessories are used. By using different wheels, the grinder will clean and grind metal, cut metal (bars, rods, bolts), sharpen blades, cut tile, stone and concrete. Because of its size and versatility, this is a tremendous (and fairly inexpensive) addition to any shop. Reciprocating Saw (below center): For bigger cutting jobs, I depend on one of these monsters, which will cut through all kinds of material. 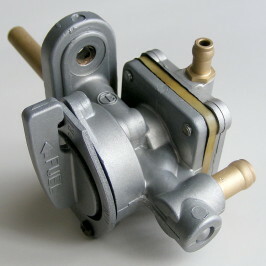 The variable speed feature makes cutting fast and efficient. If the angle grinder can’t make the cut, the reciprocating saw is the next best bet to get the job done. 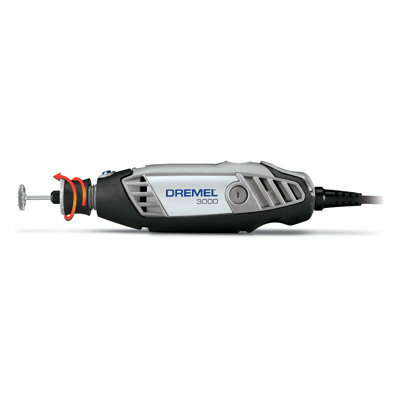 Dremel rotary tool (below right): Sometimes overlooked because of its size, this tool is handy for precision work that demands control. 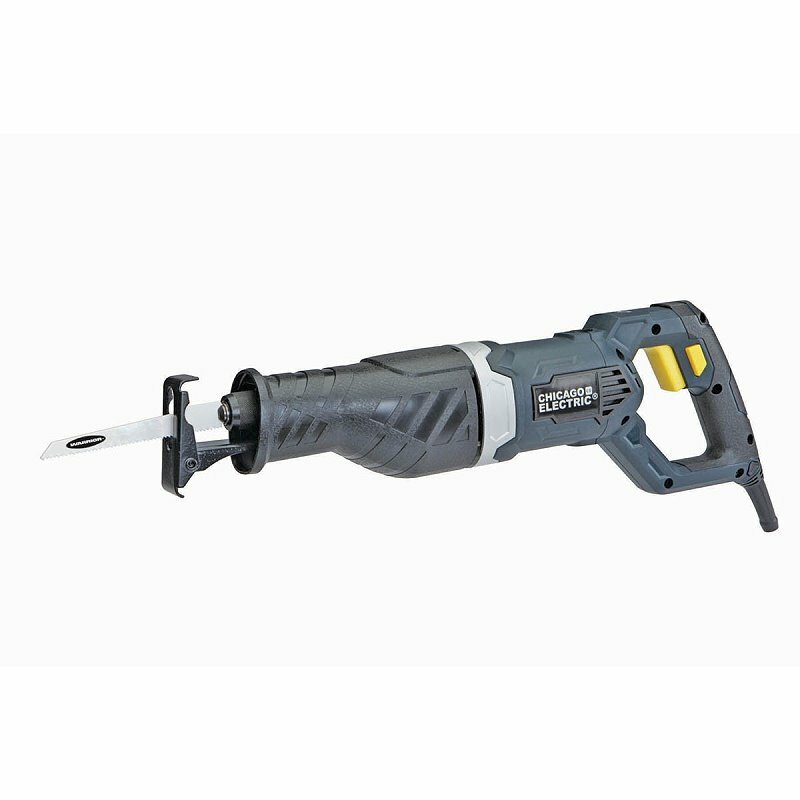 With the wide variety of Dremel attachments and accessories, it can do it all—clean, polish, cut, grind, sharpen, sand, rout, drill and more on all kinds of materials. A favorite cutting wheel trick is to cut a slot in the head of a small stubborn screw that’s rounding off from multiple attempts to break it free. The slot made by the cutting wheel lets me put a big straight screwdriver to work and remove the fastener. I can’t tell you how many times I’ve used this technique with great results. I also like the Dremel grinding wheels and sometimes use them to clean up metal burrs and sharp edges after cutting with the angle grinder or reciprocating saw. Finally, I inherited a few power tools from my late father-in-law. 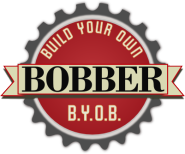 He was a true craftsman, especially when it came to woodworking, and he didn’t buy junk. The tools of his that are now in my shop aren’t the latest model, of course, but they run smoothly and without issue. Craftsman Belt and Disc Sander, model 113.226423 has been used quite a bit, it feels like it will run forever. Craftsman 8” Bench Drill Press, Model 113.213722: This little beauty has three speeds for drilling through wood, aluminum, iron and steel. There’s nothing like a drill press for drilling straight and clean. Ludell Bench Grinder, model BG-6W: It’s compact, easy to use and light weight. By the way, none of these tools are mounted to a table or stand. They sit on a shelf or on the floor until needed. Then, I just pick them up and put them on the work table. And, it’s always worth that little bit of effort. Now, if only some of that craftsmanship would wear off the tools and onto me.